Reeve has written a masterpiece that lays out the thinking of nineteenth century Americans, using a political cartoon showing a “Mormon Elder-Berry” holding hands with his offspring from multiple wives, each a different race. He uses this as the framework for the book, with chapters on African Americans, Native Americans, Orientals, and other races. He points out that contemporary newcomers to the United States, like Irish and Italians, were also considered “other,” but were generally adopted into the body as Americans within a generation. Mormons were still a separate race. Using letters, journal entries, newspaper articles, and remarkable political cartoons, Reeve gives us the historical evidence. For me in particular, I was surprised and gratified to see that the words of my great-great grandfather Warren Foote used several times. I guess at one point my ancestors were righteous enough and diligent enough write stuff down, and I enjoyed seeing his journals used as evidence. It ends up being a fascinating look at how Americans constructed the very concept of “race.” How did they decide who was in, how did they decide who was out? How long would it take a group of people to be considered an American? Most poignant, and most troubling, are the chapters about the evolution of the Mormon policy, and eventual beliefs, regarding African Americans. In the earliest years of the church, there were black members in congregations, they held the priesthood, they had access to “saving” ordinances. Over the course of a few decades, all of that changed. Reeve gives us the evidence explaining when and how and why it happened, and the fallout that lasted for a century. It becomes a look at the principles of revelation versus the influence of men, and how the two can overlay each other, and how those influences can change the course of not only church “policy,” but matters of faith. How long were Mormons taught about a biblical curse of Cain that was ultimately apocryphal? Reeve traces how that policy and doctrine emerged, and how it was eventually changed. When you have a hundred years of a policy that discriminates against a race, is it any wonder that the modern LDS Church is still trying to get over that hurdle of racism? The priesthood ban based on race was lifted in 1978, but still, nearly forty years later, it’s an issue. 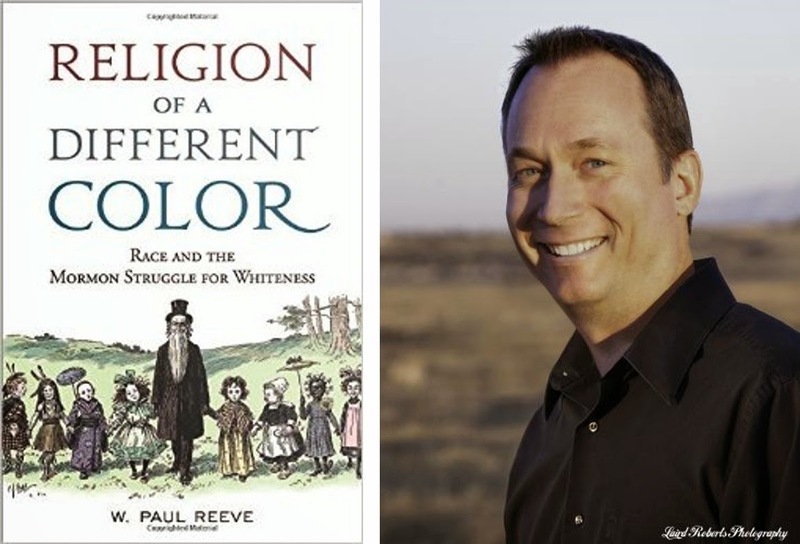 This book explains why, and in a concluding chapter “From Not White to Too White: The Continuing Contest over the Mormon Body,” Reeve gets into 21st Century issues that are still bubbling to the surface. He uses the life and presidential campaigns of Mitt Romney as examples of current American perceptions of Mormons. After reading this chapter, as I did as Romney was running for office, I found myself wondering if I (or my sons, or grandsons) could ever be elected as president. I mean, clearly I couldn’t be, because I’m a terrible person. But would I be barred because of my religion? Because of century-old perceptions about “my people?” I don’t know that Romney lost in 2012 because of his Mormonness as much as his perceived persona as…well, as Mitt Romney. But there’s compelling evidence that Americans aren’t ready for a Mormon president. Religion of a Different Color: Race and the Mormon Struggle for Whiteness is a readable, well-researched, fascinating look at an American-born religious group that has an intriguing history. If you’re interested in race, religion, history, or the overlap of all three, this is a must-read. Quinn Rollins is a history teacher in Salt Lake City. He’s got a wife, two sons, and more LEGO than any adult should have. Ever. He’s currently the deacon’s quorum advisor, because evidently he enjoyed the premortal life and is condemned to live his days out on this earth with 12 and 13 year old boys. Twitter: @jedikermit. Image credits: First cartoon from WASP, Feb 8, 1879; Second cartoon from Vanity Fair, 1860.